Using audio description at the theatre provides key information about a play that blind or partially sighted audience members may otherwise miss. Toby Davy, Deputy Director of VocalEyes, discusses audio description and addresses the frequently asked questions around the concept. What is audio description in the theatre? Audio description in a theatre is a live verbal commentary providing information on the visual elements of a production as it unfolds. It describes action that is essential to an understanding of the play's story, as well as other visual information such as the style and design of a production, facial expressions and visual jokes that a blind or partially sighted member of the audience might otherwise miss. The description is delivered in between the dialogue of a performance and is picked up by the audience member wearing a special lightweight headset that is easy to use. How do you book a ticket for an audio described performance? To book your tickets for an audio described performance, you book through the theatre’s box office and in some cases the theatre may have a dedicated access line. Do you pay more for an AD performance? There is no extra cost for booking for an audio described performance for blind and partially sighted people. In most cases, theatres will offer concessionary ticket prices for disabled people, which in some cases may be half price or a third of the ticket price and in many cases the same rate is available for a sighted companion. What are the introductory notes? The introductory notes are available on an audio CD that is normally sent out about a week before the audio described performance and in many cases the notes are also available online as an audio MP3 file or a text document from the theatre’s website. The notes provide blind and partially sighted people with background information about the production and access information about the theatre. The introductory information gives details about the play, the set, characters and their costumes, and cast and credits. The access information gives details about how to get to the theatre, how to find the box office, where to pick up large print and Braille cast lists, where to pick up your headsets, directions of how to find the bar, toilets, getting into the auditorium, theatre guide dog policy and so on. A touch tour is a guided described tour of the stage, set and physical elements of the play, which normally happens about an hour before the audio described performance. The tour provides blind and partially sighted people with the opportunity to get onto the stage, explore the set with the describers and members of theatre staff, to handle some of the props, and to be able to touch parts of the set and have the set and stage described to them. Often during a touch tour, some of the members of the cast come out in character and costume and talk to the blind and partially sighted people. Can I take a guide dog with me to a performance? Yes, but you'll need to make the box office aware when you book your ticket that you will be attending the performance with your guide dog. Your dog can normally be taken into the auditorium with you during the performance or be cared for by a member of theatre staff. How can you get a theatre or venue to include AD? Unless the theatre is aware that there is an enthusiastic audience for audio description, some theatres are sometimes reluctant to schedule an audio described performance. Contacting your local theatre directly will help them to realise that there is a potential audience, and enlisting the support of your local group or Talking Newspaper will raise awareness about the service. Many theatres benefit from the guidance of focus groups and you may think about offering your advice as a service user. Where do I find out more about AD events across the country? Most theatres will have details about their audio described performances on their websites and in their general brochures, but sadly in some cases it is difficult to find the information as it is not always that visible. 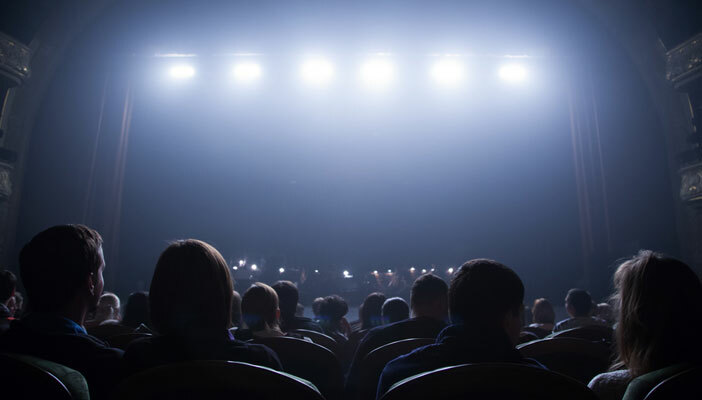 Some theatres will provide and send out an access brochure or list in accessible formats listing their audio described and other access performances. So it is worth contacting your local theatre to find out what they offer in an accessible format for blind and partially sighted people. You can always visit our VocalEyes website to find listings of all our audio described performances and to sign up to our email newsletter. We also offer a large print, audio CD and Braille newsletter that goes out three times a year. However, the website and email newsletters will provide the most up-to-date information.